Silkroad Online has been around for a while, since 2004 to be exact. Back then Free-to-Play games were a scarce commodity in the west, with few options to choose from other then the mega browser MMO known as Runescape. 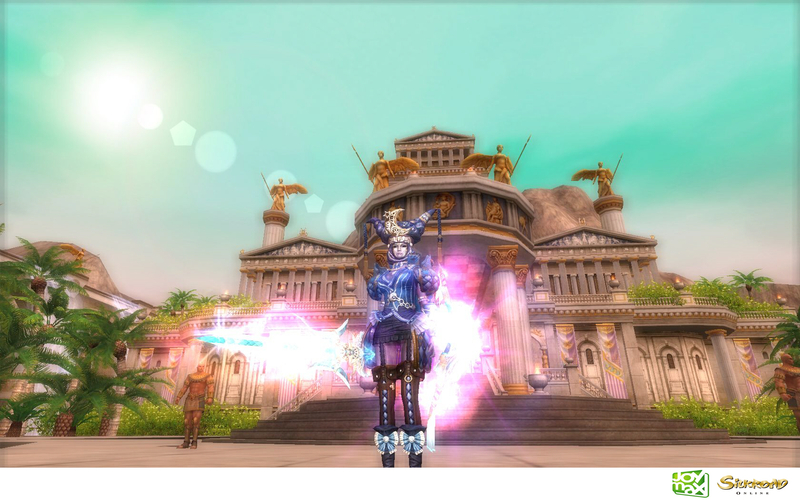 Today Silkroad Online still enjoys over 15 million players worldwide. Joymax, the publisher behind Silkroad Online, released the latest expansion for the MMO this week which focuses on giving back to the long time fans. The update which marks the official start of the “Ignite Silkroad” event, brings new improvements aimed at both new characters and returning veterans. To start off the event, Silkroad Online is turning its attention towards those leveling up new characters. The MMO currently has 120 levels of progression, which no doubt is extremely daunting to someone starting a new toon. However, with the latest update, newly created characters will be given a special package of nine different beginner items normally found in just the cash shop. Additionally, for every ten levels a player achieves, they will now receive a variety of bonus items which should make for some smoother leveling. Going beyond helping players with their gear choices, Joymax has taken into account the fact that many of us do indeed have a life outside of leveling in MMOs. Joymax aims to alleviate this by providing a new rested experience system which gives players increased bonus experience and a special “Joymax Day” event where everyone can enjoy a massive 1000% EXP gain bonus. To find out more about these events or to check out the update for yourself, head on over to the official site now. And the whole no gold drops till lvl 70 will really turn any new player off. Trying to stop the botter’s, Just do what PWE doe’s in most of thier game’s … Add a free bot, Stops gold sellers! But i did love this game ! Never played silkroad R for that long. I started in the original and grinded for years, When i installed the R version it was the exact same game, So instead of starting over to play the same game over again i just went back to where my character’s were. How doe’s an AH work when there are no gold drops till lvl 70? seriously? dont they have their own ideas? all those “new” updates have been released on private servers before ….